1. 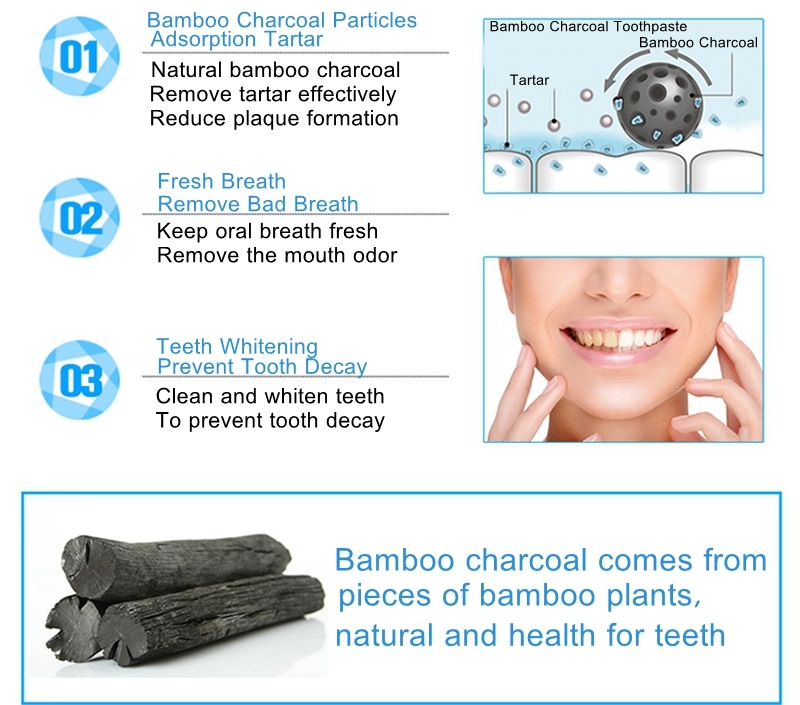 Black bamboo charcoal toothpaste teeth whitening brightening toothpaste. 2. Important component of C reactive ion, is charcoal black color, do not add any pigment, charcoal C reactive ion with superior adsorption capacity. 3. Anti-halitosis, remove smoke stains, whitening teeth. 4. Suitable for yellow teeth, black teeth, bad mouth, periodontitis, swelling and aching of gum, bleeding gums. 5. Gradual softening stubborn stains teeth, adsorption, shedding, lastlong-term use could whiten teeth with purifying effect.